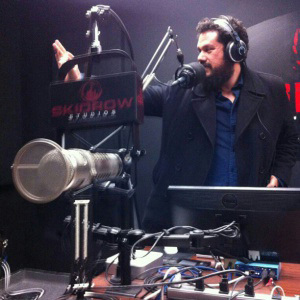 Eddie Solis hosts “Los Angeles Nista” Internet radio program. Skidrow Studios host Eddie Solis invited a couple guests from Metro’s media staff, including yours truly, for the 60th episode of “Los Angeles Nista,” an Internet radio program produced in Downtown L.A. covering history, culture, music, art, and the “car-free” lifestyle. The show was recorded last week and covers a smattering of Metro topics, including bicycling, I-405 construction, and public transit services to popular events and sports venues. The program airs Monday nights from 9 p.m. to 11pm. Listeners can get the Skidrow Studios app from the iTunes Store or on Stitcher for Android devices. Listen to Los Angeles Nista’s 60th episode here.